I opened up a fresh pack of ear plugs- squeezed and inserted them deep into my ear canals, my mind slowly calming as the memory foam expanded and slowly drowned the ambient sound to a whisper. I shimmied under the bench, and fell asleep to the soothing sounds of gate changes and straggling passenger updates. Somewhere in there, between 2 and 3am, a janitor worked his way by with a vacuum. I know this because, as a result of my outlaw days, I’m a light sleeper. Movement, sound, a suggestion of a movement or sound will wake me. I woke up for reals, slightly before 4am, to an air mattress that has a slow leak, so my back was compressing into the floor. I only got 3 hours, so slightly crap-faced, I pulled out from under the bench, and slowly figured out my socks and shoes. Compression sacked my travel sleeping bag and de-aired the mattress. Then I just sat. Staring at the floor. Indecisive with the 25 minutes between me and the cabin-door closing. And the same janitor walked by again. He was white, with straw-colored hair, an almost yellowish blond. His complexion looked more like a red-head however, maybe that was a result of working the night-shift. I looked up at him, and he looked down at me, and we made eye contact. I nodded at him, and he smiled at me. He didn’t smile embarrassingly like some people in the services industry look at you. 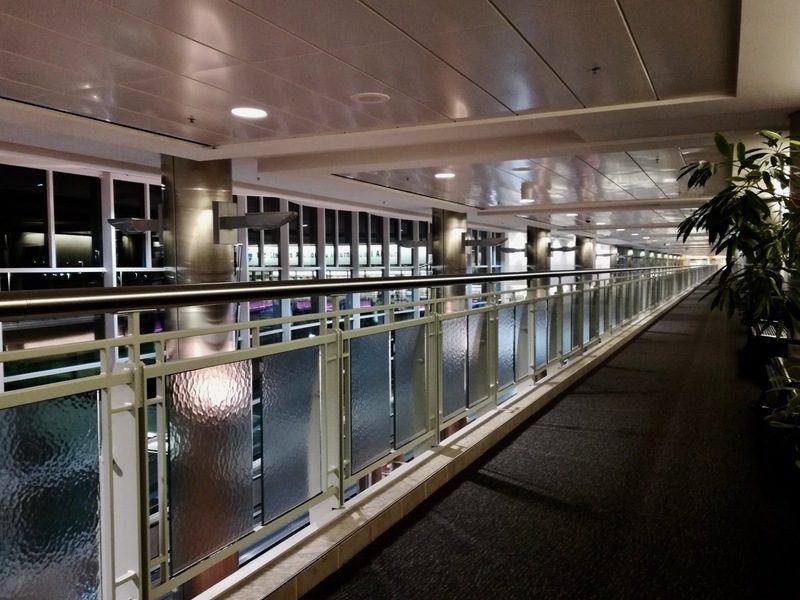 He smiled pleasantly, like he was enjoying his strolls along the catwalk of the airport, where no-one ever goes, and where the carpet doesn’t actually need vacuuming; its just him and a 6 foot wide patch of industrial carpet, running the full length of the main terminal. I bet even if he were the most efficient and motivated vacuumer, it would take him 3 hours to get it done. His stroll motivated me to movement again, and I packed up all the electronics. The spare battery pack, the computer, the headphones, the cell phone. I try to charge everything whenever I find an outlet- in my business the WORST is having 7% left to capture the magic happening in front of you….I packed it all up, got up to go, and as my momentum swung toward the stairs 200 yards away down this freshly de-linted carpet, I looked over my shoulder to make sure I’d grabbed everything. I looked over my shoulder not really to see anything, but to check if I’d remembered everything. I knew I’d grabbed everything, so I wasn’t particularly concerned, but I’ve developed good habits to counter by bad habits and so responsible self tries to help my forgetful self. I noticed out of the corner of my corner’s eye, a little piece of plastic on the carpet. I was moving now, and it took me a second to process that it was the wrapper to my ear plugs. I was still moving. Momentum is an odd thing. We learn from Newton that objects in motion stay in motion. I was a force acting upon myself to get to the stairs. But I had looked in the janitor’s eyes. The janitor hadn’t smiled out of fear, or embarassment, or as a plea to “PLEASE, dear heavens, don’t get one more speck of gum-wrapper on my carpet or I may explode….” He had smiled pleasantly as a man enjoying his job, but with the wisdom that the job is never done, so the fulfillment is in the process. If I left it there, he’d have to pick up after me, and while it IS his job to take out the trash, it ISN’T his job to be nice to me, then have to pick up MY trash. And I turned back to pick up my ear plug wrapper.